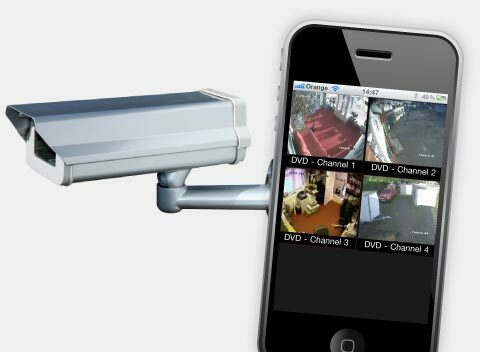 From CCTV that you can view from anywhere in the world, door access control systems that you can operate remotely from your smart phone to property perimeter solutions giving you warning of an intruder before they enter your home. We can also make your home appear occupied even when your not at home with our Occupancy Simulation solutions. Contact Oakley Automated Living to keep an eye on your home from anywhere in the world. Having CCTV cameras installed and visible will act as a deterrent to “undesirable visitors” who will be aware that they are being watched and recorded and will move on leaving your property safe and secure. Oakley Automated Living supply discrete internal and external CCTV systems with full HD colour cameras during the day that switch to black and white at night due to built in Infra Red capabilities, allowing your home to be fully covered even in complete darkness. Automated door access and entry systems. Smart door locks – with either push-button or touch-screen entry – are more than just a convenient ways of getting into your home without having to fiddle with keys. Our easy to use systems allow you to see and speak to visitors at your front door or entrance gates and let them in with a simple press of a button. Home CCTV & Security Marbella to Sotogrande, Gibraltar and beyond.